HR Services – Making a Difference! A few years ago I was employed as the Head of HR at Checkatrade and worked for an inspirational entrepreneur, Kevin Bryne. Each month the entire team would get together for a business update and Kevin would also provide a motivational message which we creatively titled Kev’s story! It was during one of Kev’s stories I began to appreciate how each of us have the ability to make a real difference, to each other, to our teams, to businesses and to the lives of people we meet. 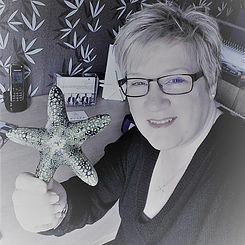 This story provided a powerful platform for creating Starfish People; and offering HR Outsourcing, Coaching and DISC profiling services with a personable approach and a sincere passion to work with both businesses and employees supporting them to reach their full and amazing potential. The story was originally written by Loren Eiseley 1907 – 1977, if you haven’t heard it, it goes something like this. One day, as he was walking along the shore, he looked down the beach and saw a young boy reaching down to the shore, picking up small objects, and throwing them into the ocean. He came closer still and called out “Good morning! May I ask what it is that you are doing?”. The young boy paused, looked up, and replied “Throwing starfish into the ocean”. “I must ask, then, why are you throwing starfish into the ocean?” asked the wise man. To this, the young boy replied, “The sun is up and the tide is going out. If I don’t throw them in, they’ll die”. Upon hearing this, the wise man commented, “But, young man, do you not realise that there are miles and miles of beach and there are starfish all along every mile? You can’t possibly make a difference!”. Are you looking to support your employees and to understand more about your business and how to improve efficiency? – We are here to support you in managing all people-related functions within your business.